I, like a lot of people, grew up watching Mary Poppins, it’s something so British, so magical, and so rare. It’s rare that such a film brings adults and children together in a way that Walt Disney’s 1964 masterpiece continues to do. Children of all ages know the word Supercalifragilisticexpialidocious, adults across the world are brought to tears by Feed the Birds. The story of Walt’s film is widely known, the story behind bringing it to the screen is less known. Here is a film from BBC Films and Walt Disney Pictures about that controversial story of bringing the beloved character to the screen. 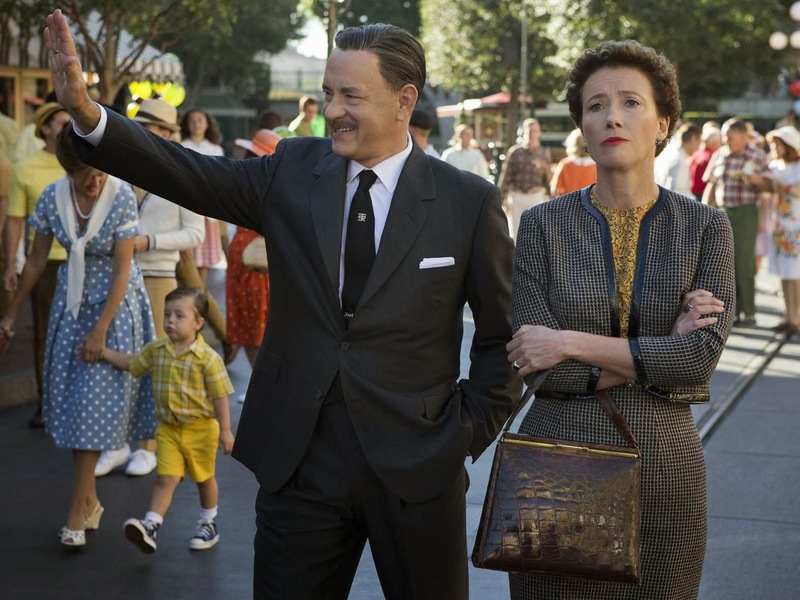 Perhaps what sparked the imagination of Disney fans across the world about this film is the fact that it was to be the first time that Walt Disney would be portrayed in a motion picture, whilst he is played rather brilliantly by Tom Hanks, it is Emma Thompson as P.L. Travers who really steals the show. Essentially this film is a film of transition, naturally we see a rather defiant P.L. Travers as the film begins, adamant that she will not see her creation, Mary Poppins, be transformed into a Disney film, in her mind this meant a cartoon; as the film continues, her iron faced stance to Walt Disney begins to crack and crumble and we begin to see her to accept choices made. Our understanding is aided by flashbacks to her childhood, and the basis of her work, which is shown in a good level of detail. The flashbacks are very useful to understanding the mood of Travers throughout the film, however in a sense this feels forced upon us and almost certainly removes us from the plot. At the start of the film, these flashbacks seem more bunched together and thrown into our faces. Rather than setting a plot and giving us background understanding, it actually has a more unsettling nature. The first 30-45 minutes of the film were unsettled. Once these flashbacks became more spaced out, and deeper, it had a reversed effect, they became much more of an enchanting feature of the film. It aided understanding and allowed us to sympathise with P.L. Travers. As our understanding increases, as does Walt’s; as an audience, we are as in the dark about the story to begin with as Walt Disney. The acting in these flashbacks was superb, special mention here to Ruth Wilson, Colin Farrel and Annie Rose Buckley (in her film debut). Emma Thompson plays a wonderful P.L. Travers, we sympathise with her position on the proposed Disney film, and we believe she doesn’t like what she sees happening. We understand that to her, Mary is family and means a lot. When she turns to Walt (Hanks) and says ‘You have no idea what she means to me’, we believe her. He does not. 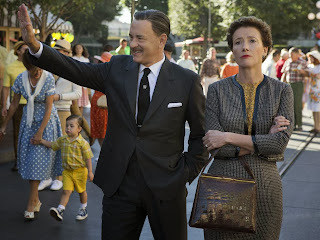 Tom Hanks plays a fantastic Walt Disney as well, we see the magic, in his eyes, his mannerisms and speech. It’s a fine performance from two brilliant actors. The chemistry between them both is both intimate and believable, upon watching the film and scenes between them, we feel privy to these private conversations. A real success for the film makers. Other characters are equally well written and represented such as the Sherman brothers and the driver Ralph. The real test will be upon re watching, can the magic of feeling privileged of being part of these events be replicated time and time again, much like the actual Mary Poppins feels upon the 50th watch. The film is a real roller coaster of emotions, you will laugh, and cry, feel happy and angry. Kudos to Disney for making a film which don’t always show Disney in a good light, and portrays a woman who despised everything Walt Disney Pictures stood for. 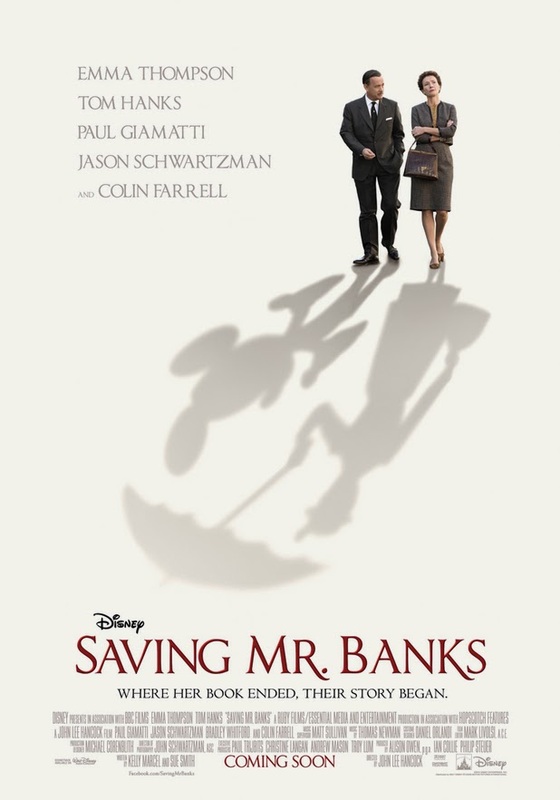 Obviously, everything needs to be taken with a pinch of salt, there are likely to be some elements that aren’t exactly true, however this is a must see for Disney fans and cinema lovers of all ages. This film is certainly Oscar worthy, and will do very well come award season. When seeing the film, you must stay until the very end, there is a fantastic recording of the actual conversations between P.L. Travers and the writers and composers of the film, which makes for fascinating hearing. Also, if you are reading from outside an Anglophone country and have the choice, please see this in the native English language, Thompson does a fine job of playing Travers, matching her tone of voice. It’s certainly worth seeing in the native language.